After blogging about the wrap-up for Chinese New Year Celebration, I realised that there was another round of CNY Lou Sang to go! Why la so many times of Lou Sang, but I don't mind, because this round it was a #CNYChurpOut day with dear Churpers and Churpies. Basically, they're all people from ChurpChurp.com, be it a Churp fans or the crew of the company. 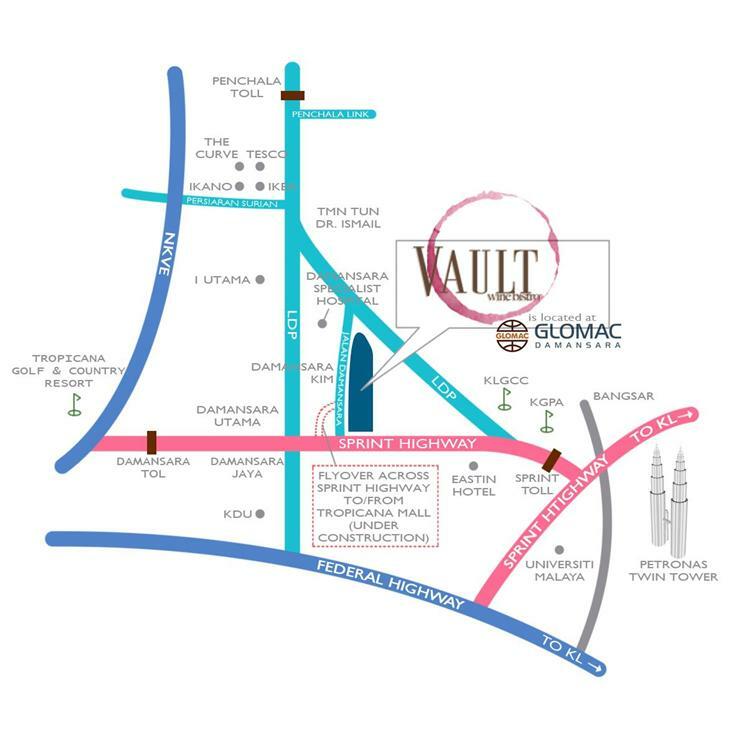 Vault Wine Bistro, situated a stone throw away from Tropicana City Mall was closed for this event that night, accommodating more than 60 of us. Vault Wine Bistro, a two-storey restaurant outlet not only serves a wide range of tapas, salad, soup, pasta as well as western delights, but also offers a bespoke dining experience with fine wine and beer. A great place to chill after work, with lively music, drinks and light food. all we need to do is just to jot down your CNY wishes or draw something on it. Look at the board, filled with lots of pretty drawings! Entering the restaurant, we were surprised with the CNY decors around this cozy place. 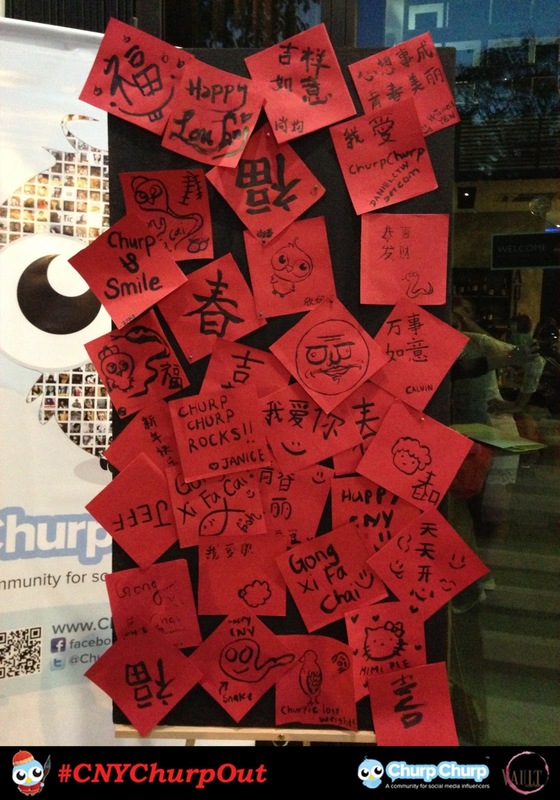 The creative team of Churpies had even prepared a polaroid booth and little stuffs for us to pose with. 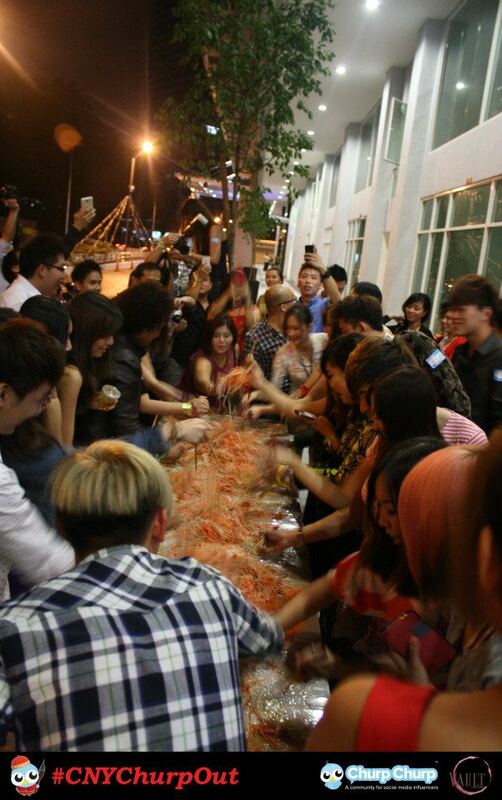 After some ice-breaking session, the good people at Vault unveiled the most epic yee sang I have ever seen! Beautifully arranged into the restaurant's name, "Vault", the yee sang is more than four tables long! After several games and Harlem Shake dancing session, sumptuous buffet dinner was served. It was time to bond with other bloggers and churpers with the companion of good food and fine wine. 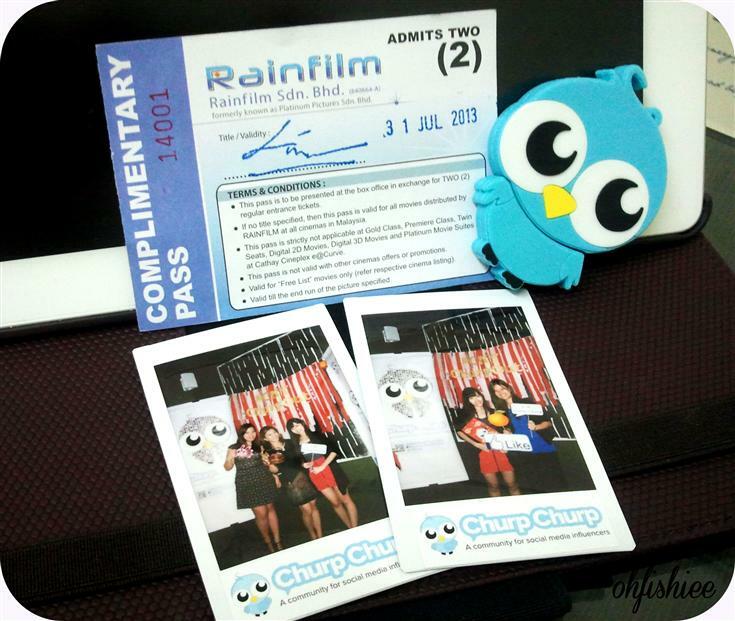 Thank you for the ChurpChurp pendrive, Cathay Cineplex movie vouchers and polaroids. #CNYChurpout ended around 11pm after filling our stomach with amazing. Then had a big group picture with the Churpers, Churpies and Alphas before leaving. 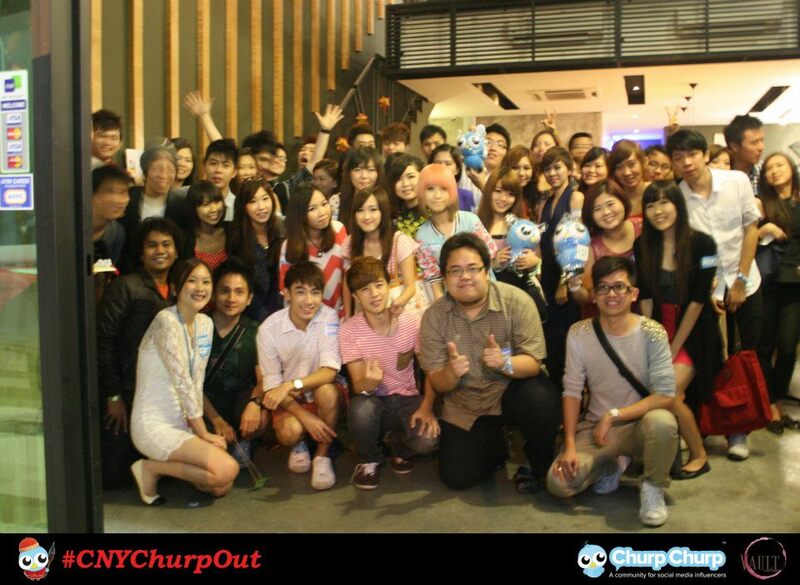 Happy Churping, and see you at the next #ChurpOut! Interesting how the YOUNG are ENJOYING LIFE now !!! wow....looks like a fun outing! The environment of Vault looks really nice for hanging out with friends or for a gathering. Nice!! You've changed your logo. Looks great! Very happening night with friends, gifts, games and yummy food. OMG Vault's Sausage with Bacon Wrap and Egg looks pretty and obscene! or maybe it's just me. LOL. I want their mini chicken burger! Agree, the vault sausage looks kinda 'weird' but taste good by its look tho.